A licensed Naturopathic Doctor specializing in naturopathic medicine – also known as functional medicine, holistic medicine or integrative medicine. 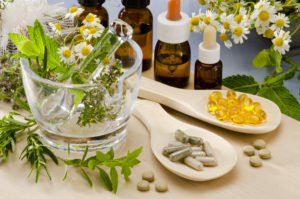 Naturopathic Doctors used a variety of modalities including: diet, nutrition, supplements, Bio-Identical Hormones (Bio-HRT), homeopathy and other safe, effective natural medicine therapies to treat a variety of conditions. Hypothyroidism, Hashimoto’s, Adrenal Fatigue, Menopause, Autism, PDD, Tourette’s, ADD & ADHD, Fatigue, PMS, IBS, IBD – Crohn’s & Ulcerative Colitis, Arthritis, Anxiety, Depression, Allergies, Weight Loss, Nutrition, Healthy Eating & Dietary intervention, Infertility, Headaches, Insomnia, SIBO, and other chronic conditions. Naturopathic Doctor’s utilize state of the art laboratory testing, individualized dietary plans, plant based medicines, bio-identical hormones, homeopathic medicines, food allergy/intolerance testing, lifestyle modifications, and a variety of other safe, non-invasive, holistic medicine based modalities to address your condition(s). Our purpose at Naturae’s Path is to reconnect our clients with their own Vis Medicatrix Naturae (the Healing Power of Nature). That is, we strive to develop for you an individualized health care plan that is designed to awaken the inherent healing power of nature that already exists within you. Therapies we recommend are not just designed to treat or ‘mask’ the isolated symptoms but are designed to treat the underlying cause(s) of your condition and remove these obstacles to cure. Our intention is to assist you in the restoration of optimal health and vitality on all levels: mentally, emotionally, and physically. What is a naturopathic doctor? What’s the difference between a ND and a MD? A licensed naturopathic doctor (ND) attends a four-year, graduate-level naturopathic medical school and is educated in all of the same basic sciences as an MD, but also studies holistic and nontoxic approaches to therapy with a strong emphasis on disease prevention and optimizing wellness. In addition to a standard medical curriculum, the naturopathic physician also studies clinical nutrition, homeopathic medicine, botanical medicine, psychology, and counseling. A naturopathic physician takes rigorous professional (basic science and clinical) board exams so that he or she may be licensed by a state or jurisdiction as a licensed Naturopathic Doctor.